Foresight is an indie Real Time Strategy game developed by Strides Interactive and published by KISS Ltd. The game presents itself as a new RTS game that brings a different sense of strategy to the table in the form of wormholes. These wormholes will require the player to be more strategic about the way they play and plan the game. The AI is also designed to work alongside the player and give them suggestions as to what to do. The game itself seemed like your bog standard RTS to me, which I used to love but I haven’t been a big fan of the RTS scene since Star Trek: Armada 2 which was the pinnacle for me. Nevertheless, this game was good but it just wasn’t my cup of tea. The game has several amazing points including the graphics which are really pretty damn good. The ships have a great level of detail and there some good ship designs as well. This will keep the game fresh when you switch between the different factions that are playable. The stations are well designed and look really intrigue which really helps to immerse you in the game. Also the construction of these stations is a really interesting process, with a sort of space scaffold erected when construction begins and the station is constructed within, which in my opinion looks awesome. This brings me to the actual universe in which your fighting which I have to say could be better. I’m not a fan of having the grid on my map because it makes me feel like my movement is limited and I feel the actual useable map is quite small when you compare it to other RTS games. Apart from that, the actual surroundings and universe look great and the wormholes work really well in the way they are designed and the way they look. The audio and sounds of the ships, stations and weapons are really well done but one thing I couldn’t stand was the voice acting. It was just awful and as much as I tried to like it, it just wasn’t my thing at all; the audio quality was shoddy and it was downright difficult to understand some of the characters when they are speaking, which really hinders the story telling. As a result of the poor voice acting, I just wasn’t as invested in the story as much as I should have been which is a shame. On a positive note though, while the voice acting was terrible the art style contained within the cut scene was sublime which, in a way, makes up for the poor aspect of the audio. The story itself seems slightly generic, as humanities has one last hope for survival and all that, but the way this story is told during the cut scenes, excluding the voice acting, is very well done. Set in a distant future, humanity has been decimated by a massive nuclear war. Those that caused the war have long since fled Earth for the distant galaxies. As planet Earth slowly died, the survivors eventually have to face up to the inevitable and go in search of a new habitable planet. At the same time an experiment with dark matter creates a spatial anomaly, causing multiple wormholes to open up across the galaxy. In an instant, distant worlds that were once light years away can now be reached within a matter of days or even hours. But as humanity ventures in to the unknown, dangers await and battles for survival will ensue. Gameplay-wise, Foresight doesn’t do anything to reinvent the RTS wheel; build a base, find resources, and use those to build a larger army and expand. The generator system works really well in this game as if you go over your power limit, which is increased by building more generators, then things will start powering down. This can be worrying when you build that one rail turret and you forget you only have one generator!….It didn’t end well for me! This game does bring a lot of new things to the table though including the Commander System which requires you to recruit new commanders which will lead your different fleets into battle. These commanders will then gain experience the longer they are fighting along side you. These guys aren’t just for show as they will give you suggestions as to what they feel should be happening i.e “we need more X” or “We should go here”. All you need to do is double click and they will perform the relevant actions. I found this very interesting but if you are planning for a long period of time then it could get slightly annoying. It does however let the individual fleets fight as separate armies which can work well if done correctly. Foresight brings a new map system to the table as well which is like Marmite: You will either love or hate it. The wormholes will give you access to different systems across the map; there are usually 2 wormholes per sector and they will lead you to different areas. The best idea I could give is to scout these out first before you send in the troops because a cheeky turret is always a good idea when defending a wormhole so it’s a good plan to check it out first. One of the coolest things to do is using a resource as a weapon. 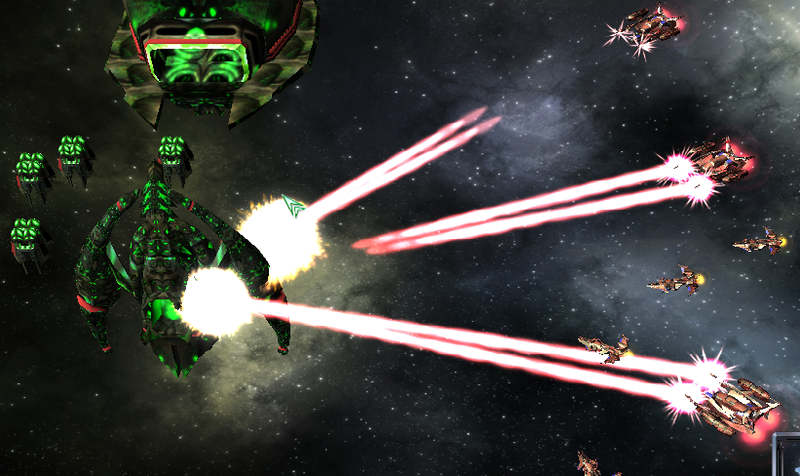 Gas fields where players can get resources can be transformed, by adding mines to it you can create one big explosion which could wipe out the entire opposition fleet. Foresight is a pretty unique game and I do think it’s worth checking out as its available on Steam for a slightly pricey £14.99. Just because it’s not my cup of tea doesn’t mean it won’t be yours! The developers themselves have a brilliant reputation with this game because they have been constantly updating the issues that some people have been having and making the game much more than when it was first released and for that I think this games deserves a shot and a good score! This entry was posted in Uncategorized and tagged Foresight, Kiss Ltd, Steam, Strides Interactive. Bookmark the permalink. That is actually pretty good review! I’d like to add though ( being fan of foresight teams enthusiasm), they are doing some really interesting stuff of late, they actually changed the prologue music as example while ago, and I have heard they might redo some voice segments as well. Absolutely a team that seems to be interested in making their game better, seldom see things like that. Thanks for reading and enjoying the review pal! I’m Jeremy, developer and producer of Foresight. First of all, thanks for playing Foresight! As of now, Foresight is at version V1.09. We now have a full multiplayer capability, revamped certain gameplay mechanics which are thought to be a chore to play (ie, recruitment of officers) and added research and upgrades into the mix, allowing you to customize the way you want to enhance your fleet. We’ve also changed certain voice actors or specific speech completely. Certain story elements have been rewritten to be more realistic than looking like a drama “play”. Structure building is linear and simplified so that you can focus on either building fleets, building defenses or building infrastructure for your fleets without the need to upgrade your builder structure. We believe the game has improved till an extent it’s now truly enjoyable and has some depth. Therefore, we hope Chris will be able to take a second look again.